Join us in honoring the legacy of Larry Contos by sponsoring the revival of a cherished sprint car to race in the 2019 Anderson Little 500 at the Anderson Speedway! Larry D Contos, former President and CEO of Pay Less Super Markets, passed away on September 23, 2018. He was a community leader and an avid racing fan. Chris Barkdull, CEO of CB Fabricating, a lifelong resident of Anderson and fan of racing wanted to honor Mr. Contos for his dedication to the sport of racing and all he did for the Anderson community. 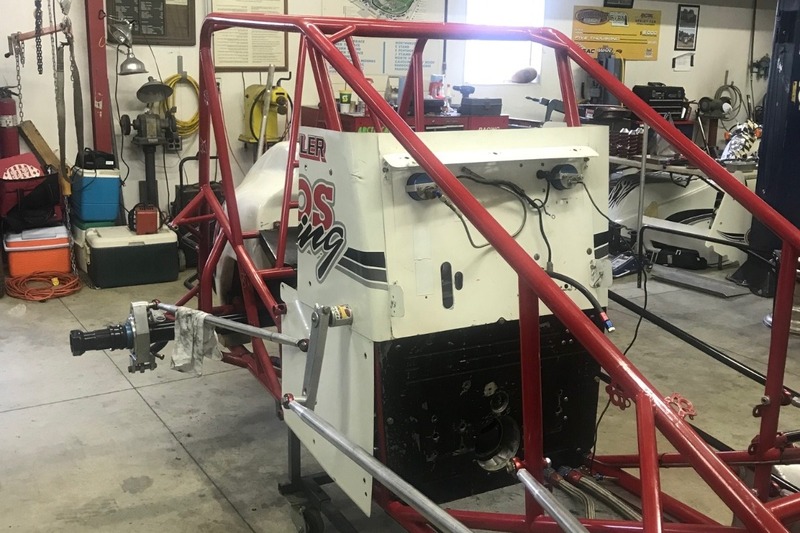 When he heard that there would not be a Contos car this year, Mr. Barkdull and his friends decided to embark on the project of rebuilding a car from the frame up that Brian Tyler had previously raced. The car will be driven by Brian Tyler. As many sprint car fans know, Brian drove the Contos Racing car that won the USAC National Sprint Car national championships in 1996 and 1997 seasons and the Anderson Little 500 in 2012. Our goal is to raise $15,000. Any person or company that contributes a minimum of $50 will have their name or company logo on the sprint car.